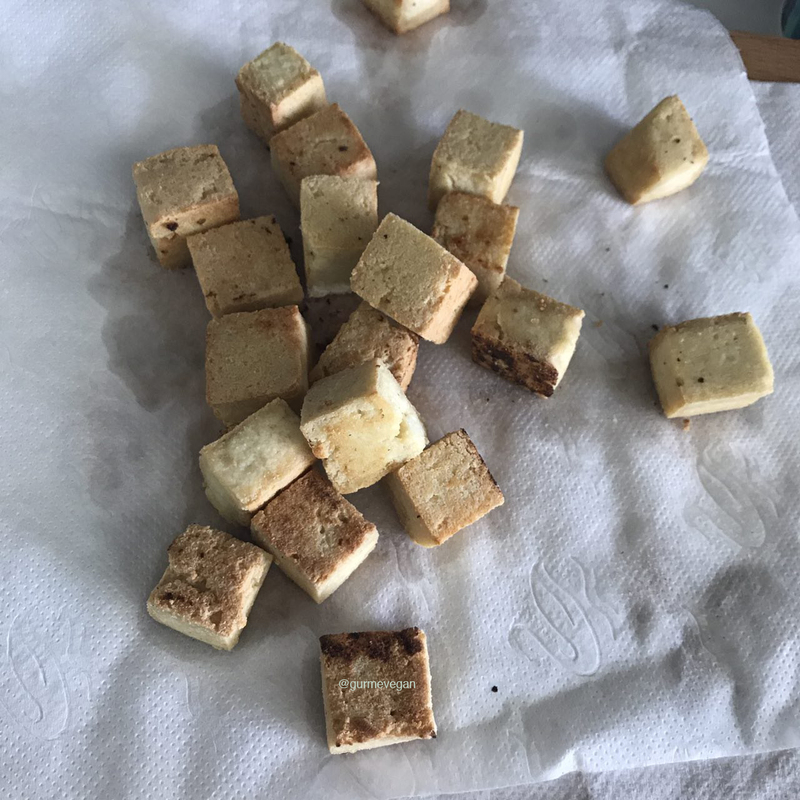 1.Wash tofu, cut it into small cubes. 2. 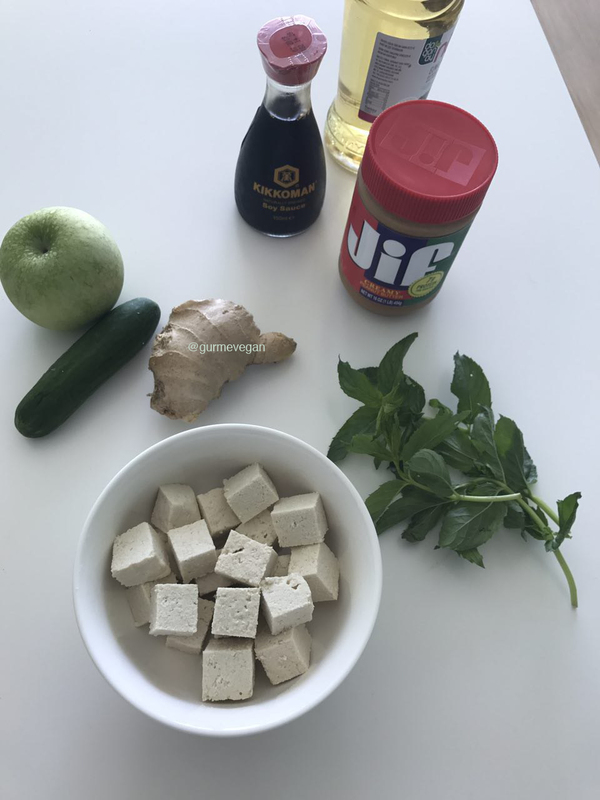 Drizzle with olive oil and fry each face of tofu cubes in a skillet pan on high heat. 3. Wash apples and cut into cubes. 4. 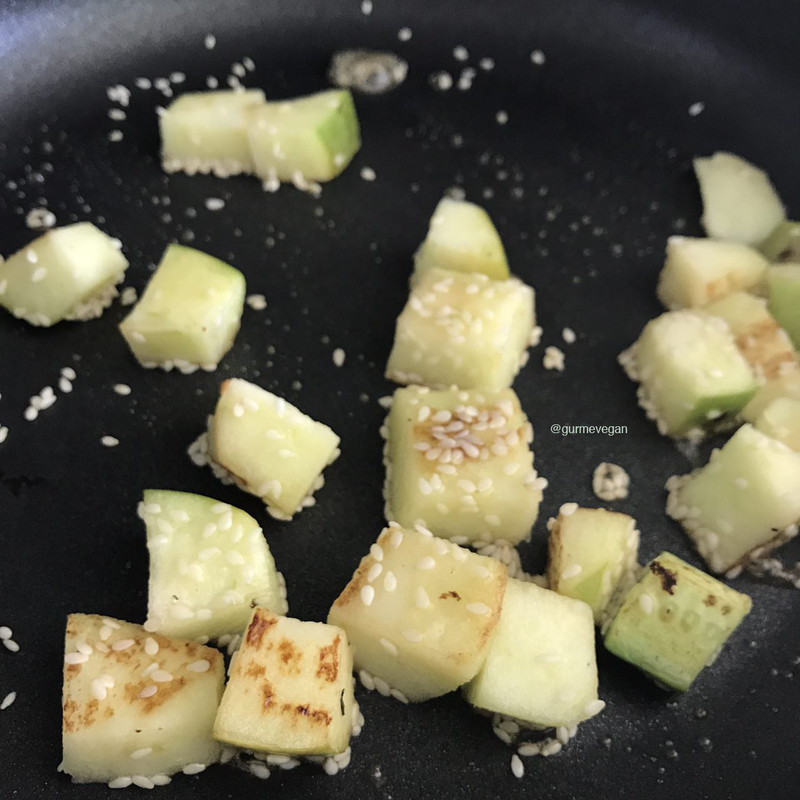 Fry them in a frying pan, pour over agave syrup and sesame and mix them, then transfer on a paper towel to absorb oil. 5. Cut cucumbers and place them at the bottom of the serving tray. Add fried apples, toss together. 6. Wash and peel ginger. place in a blender, mix on high speed until chopped. If it is very grainy, you can filter it with the help of a cheesecloth. 7. 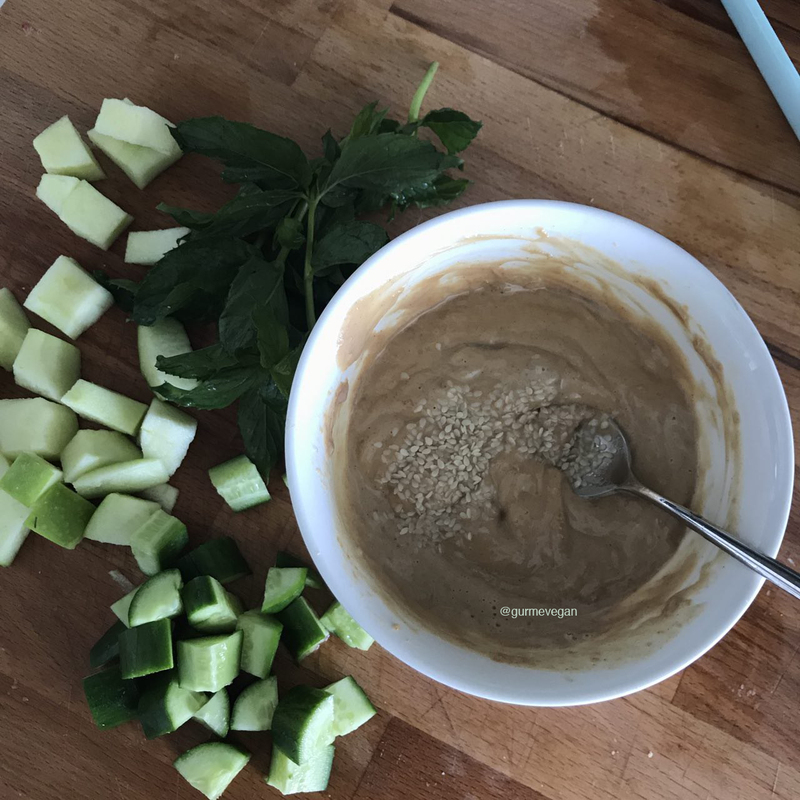 Mix peanut butter in a bowl, 5 tablespoons of warm water, soy sauce, apple juice and chopped ginger. 8. 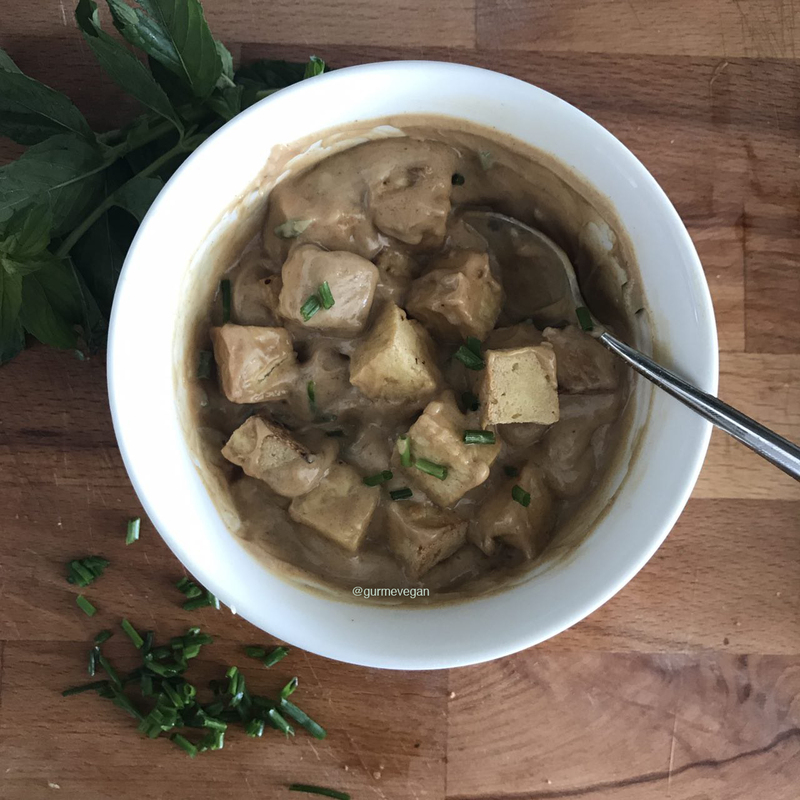 Add the tofu into the bowl and mix them. 9. 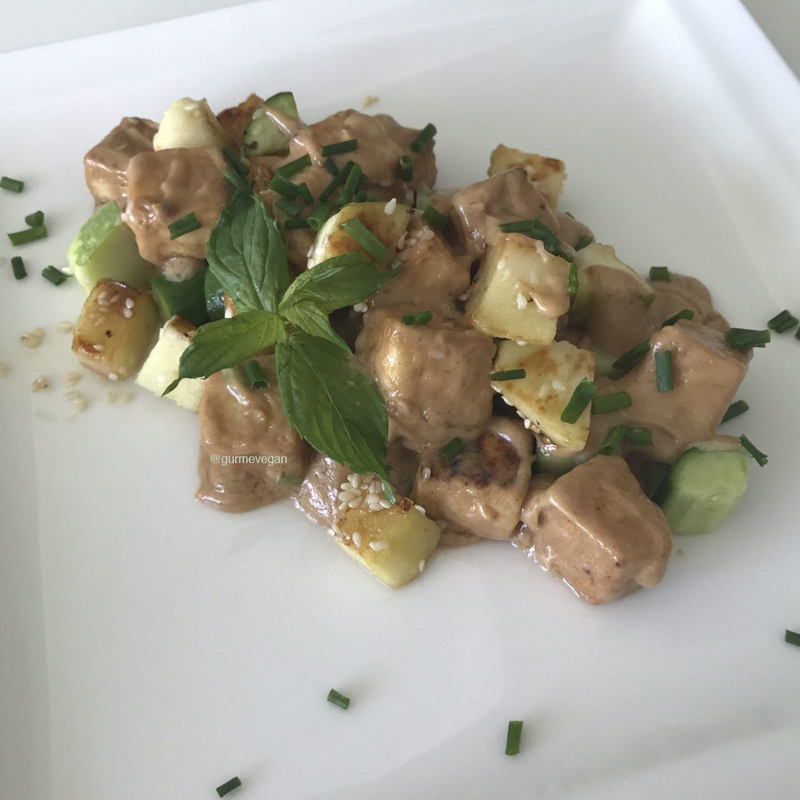 Place the remaining apple cubes on top of the tofu cubes and put a few more tofu and sauce on the bottom of the bowl. 10. 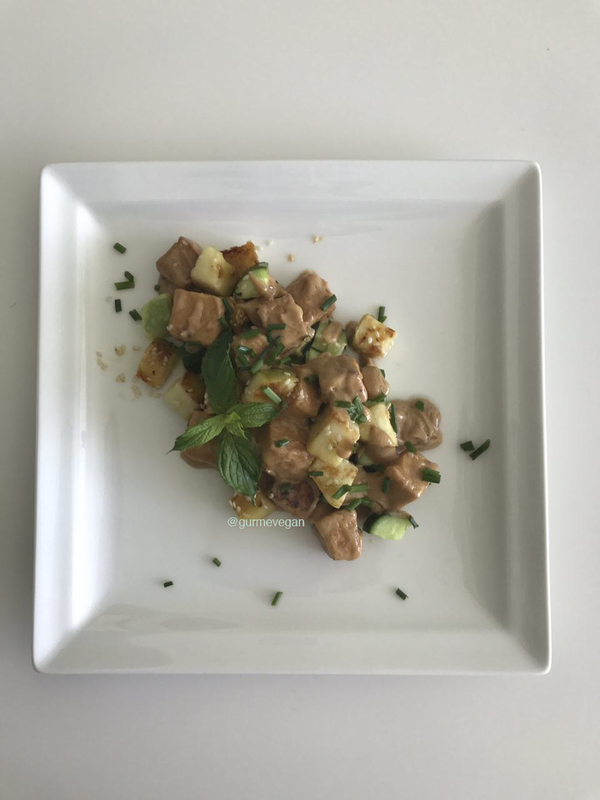 Serve with green onion and fresh mint leaves.